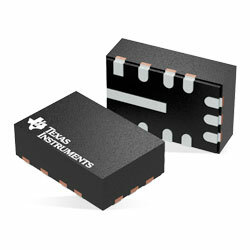 Texas Instruments LMR360xx/LMR360xx-Q1 Step-Down Converters are synchronous, easy-to-use, step-down DC-DC converter with integral high-side and low-side power MOSFETs. These devices give up to 0.6A (LMR36006/LMR36006-Q1) or 1.5A (LMR36015/LMR36015-Q1) of output current that is produced over a broad input voltage range of 4.2V to 60V. Tolerance goes up to 66V. The devices use peak-current-mode control to give optimal efficiency and output voltage accuracy. Advanced high-speed circuitry enables the devices to regulate from an input of 20V to an output of 5V at a fixed frequency of 2.1MHz. Precision enable gives flexibility by allowing a direct connection to the broad input voltage or precise control over device start-up and shutdown. The power-good flag, with built-in filtering and delay, provides a true indication of system status removing the necessity for an external supervisor. The devices are in a HotRod package which allows low EMI, higher efficiency, and the smallest package to die ratio. The device needs few external components and has a pinout created for simple PCB layout. The small solution size and feature set of the converters are intended to simplify implementation for a broad range of end equipment. The devices are AEC-Q100 qualified for automotive applications and ideal for ADAS Camera Modules, Automotive Body Control Modules.